"Are you someone who wants it all on one package? Why have six remotes when you can control the TV, stereo, and DVR with your tablet? Hey, why have a tablet when you can do it all on your phone? Why have a bunch of dogs, cats, and kids running around the house when you could just have me?" "I'm Brinkley, and I'm a best friend, playmate, confidante, and entertainer all rolled in one. My friends here at Wayside call me a "personal assistant" because I want to be a part of everything you do. I love to play! Dangle a sparkly toy, and I'll run in circles going after it. I never even get dizzy! If you want to pet me, that's ok too, but what I really love is activity. You'll never get bored with me in the house. All I ask is that you don't make me share my spotlight with any cats, dogs, or kids under 12. If you're looking for a kitty to be your one-and-only, we need to meet! Come play with me today!" 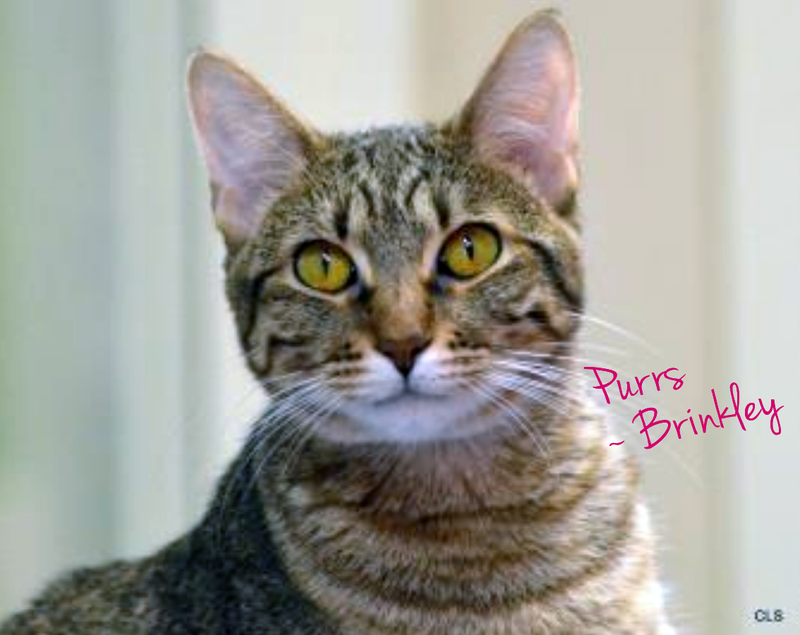 Brinkley's available at Allie's Alma Mater, Wayside Waifs. your presentation of Brinkley is brilliant, not kidding...will be applying this style to how we promote on my blog my former shelter residents in search of a home. Brinkley sounds like so much fun! Good luck to you Brinkley. We hope you find a forever home soon. Have a fabulous Friday. Brinkley, you are SUCH a sweetie!!! You're going to bring so much love and FUN to a very lucky forever family.